Product prices and availability are accurate as of 2019-04-17 16:14:22 EDT and are subject to change. Any price and availability information displayed on http://www.amazon.com/ at the time of purchase will apply to the purchase of this product. 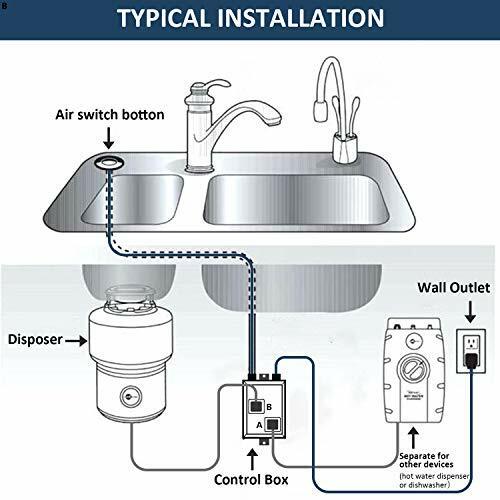 Etoolcity Dual-Outlet Air Switch Kit let you deal with sink garbage easier. It is a convenient alternative to the traditional wall switch and a perfect fit for most brand or model of garbage disposers(<2HP). Tips: must have AC power below sink. Also it is connection device as a part of garbage disposal, massage chair, or Jacuzzi. Product guarantee: Full money back guarantee without reason, 2-year warranty and 24-hour support for customer service. If there is no sink hole, you can mount the push button through the counter top by drilling a hole (not less then 1-1/4 in). 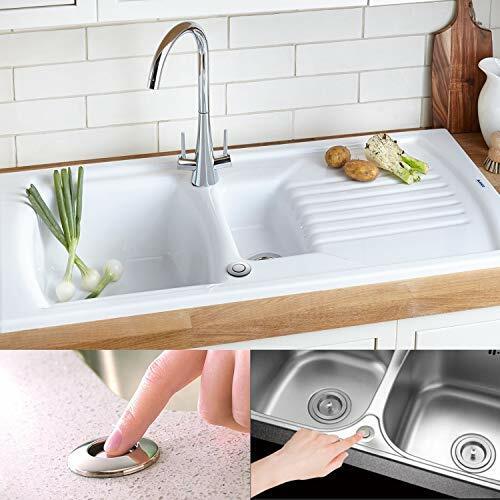 Place the rubber gasket between push button and the top of sink counter. Tighten the plastic nut under the sink counter to ensure a watertight seal. Attach the air tubing between the push button and the control unit. Push the tubing tightly onto the molded protrusions. 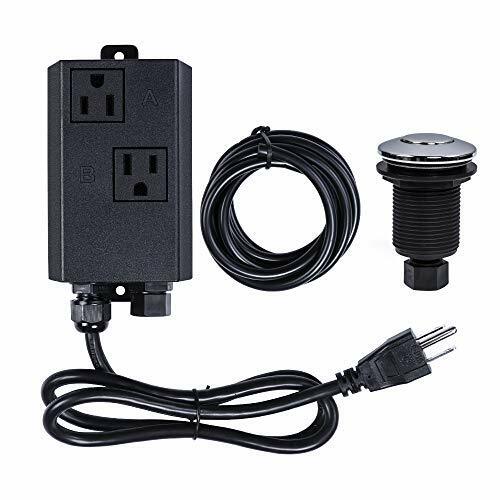 Plug the control unit into a dedicated, grounded 120V AC outlet that is continuously powered. Plug the disposer power cord into the control unit. Press push button to ensure that the countertop switch turns the disposer on and off. ?Press switch button to turn the disposer on and press again to turn the disposer off. ?Disposer may start when disposer cord is plugged into the power module. Push the Countertop Switch button once to stop the disposer.